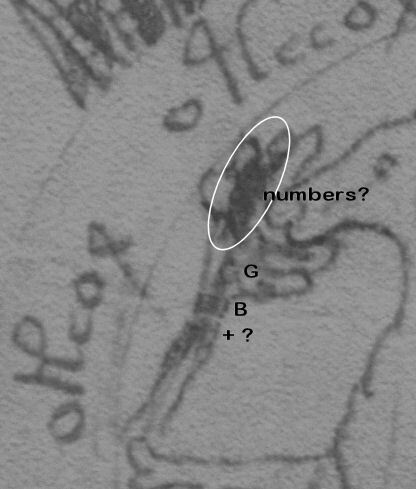 Here is Bunny’s find of possible hidden numbers and letters in the tree on f71r of the Voynich Manuscript (link goes to original image). It is reproduced on my site with permission (by request, in fact). Possible hidden letters and numbers in the tree in f71r.